There are two new design books that our design staff is going crazy over. They also happen to be two of the newest items for sale at SummerHouse! Kelly Wearstler’s new book, Rhapsody, has some never-before-published projects, both residential and commercial, that are to die for! You also get a great glimpse into her personal style, which we are all in awe of. 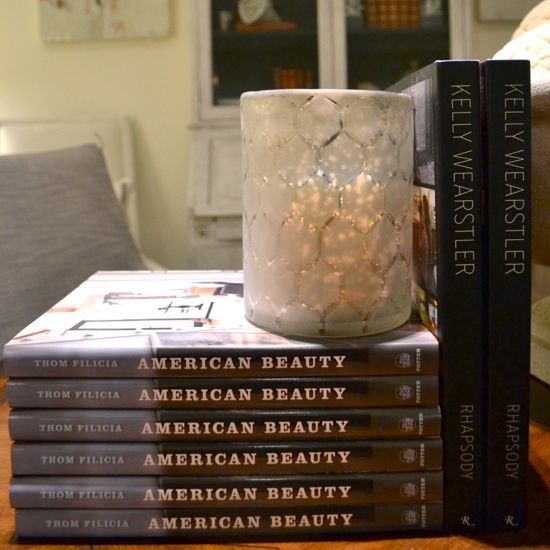 The other great new book we have is Thom Filicia’s latest, American Beauty. This book is about a fixer upper that Thom found while visiting Skaneateles Lake, New York. It’s part memoir, part decorating book, and completely inspiring!